Hello! My name is Javier Muñoz. I grew up in East Los Angeles and graduated from J. A. Garfield High School in 2009. In 2013, I graduated from UCLA. While studying there, I noticed a disproportionately low number of Latina/o students on-campus. This observation inspired me to build a program committed to helping students from underrepresented backgrounds reach institutions of higher education. But I am not doing this alone. My high school classmates and colleagues, who graduated from 4-year colleges or universities, are also committed to giving back to a new generation of GHS students. Because I am a Ph.D. Student at UCLA, we have the opportunity to transform our ideas into a community initiative with the UCLA History Graduate Students Association (HGSA). It will bring East LA to UCLA and present college as a realistic option. What is HGSA College PATHS? HGSA College PATHS is a college access and academic enrichment program. It aims to provide a select group of eight students from the ninth and/or tenth grade at J. A. Garfield High School with the critical thinking skills and knowledge required to gain admission to a 4-year college or university. By reaching students early in their high school careers, we hope to reach those who never considered college a realistic option and help them work toward that goal. Our small effort is geared toward ensuring equity and access within higher education. The program will take place at UCLA in February & March of 2018 in the form of four all day Saturday Academies. Each Saturday will feature a university professor who will lecture about a topic relevant to the lives of our participating students. In the past, topics have touched on immigration and education inequality. We think students will benefit tremendously by visiting a college campus and experiencing a college lecture firsthand! 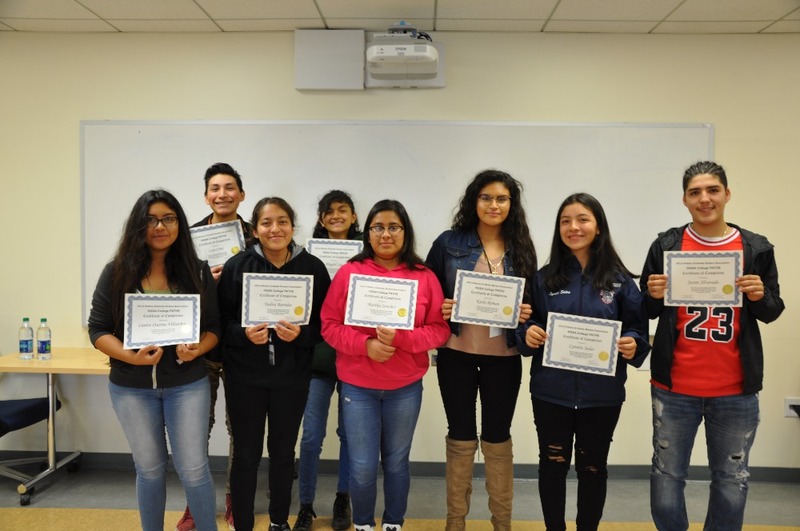 Additionally, all students will be assigned a mentor, who has graduated from a 4-year college or university and is familiar with the East LA community. Students will be joined by mentors for lunch every Saturday. The shared struggles and backgrounds between students and their mentors will facilitate the creation of good relationships. Leftover funds will be saved for next year and used to help a new group of students. Since the program began in 2015, we have awarded $1,100 in scholarships! We can all do this together like we did during our 2015 GoFundMe and 2016 GoFundMe campaigns! Thank you for your trust and support! And please don't forget to share this campaign with family, friends, neighbors, and co-workers! Hi everyone! Here's our update for the Final Saturday Academy, which was organized around the History of LA. We began the day with with a What is Gentrification? workshop led by Kenton Card, a UCLA PhD Student in the Department of Urban Planning, and Claudia Medina, who is an attorney at the Eviction Defense Network. They are both active members of the Los Angeles Tenants Union. In addition to identifying what we mean by gentrification and its effects on communities of color, they spoke about how people in LA have mobilized to fight against their own displacement. This was followed by a College Jeopardy activity. Our students were split into teams and reviewed what they learned about college over the past three Saturdays. There was a winner but all enjoyed the donut holes! While enjoying some amazing tortas for lunch, Mark Lopez, the 2017 Goldman Prize Recipient and Executive Director of East Yard Communities for Environmental Justice, spoke about environmental racism in East LA. He spoke about how we, as residents there, take up a disproportionate burden of the waste in Los Angeles County. For example, the putrid smell by the freeways in East LA comes from the fact that Los Angeles County disposes of dead animals in our back yard (sorry, for blaming Farmer John). We get the opportunity to inhale all the crap people in wealthier communities like Santa Monica export our way. And that's without mentioning the effects of lead poisoning that's dropped 7 million pounds of lead on our heads, soil, and community. Mark also emphasized the importance of fighting back and taking responsibility for our communities. It is our hope that students get involved with East Yards. All of our education access work won't mean anything if we don't also fight against the environmental injustices curbing our ability to learn. Following his talk, we had a Career Panel featuring Delia Franco, an immigration attorney and founder of The Franco Law Group in East LA, Jose Jacobo, an aerospace engineer at Boeing, Cristina Galvan, a journalist and social media specialist at KCET, and Kevin Olivares, a consultant at the Boston Consulting Group. Everyone spoke about their careers, the challenges they faced as people of color in college or their careers, and provided advice based on how they pursued their dreams. It was good to see professionals from East LA sharing their experiences with our youth! The panel was followed by a certificate & scholarship presentation. Your support enabled us to provide each participating student with a $100 scholarship! They were surprised and excited by your generosity. One of our students couldn't attend today so she's not in the group picture with her certificate, which she will be receiving at a later date. I am humbled and honored to have had the opportunity to meet and help guide these students toward mentors and resources I didn't have access to while growing up. I'm excited to see where they end up and how they will contribute to the East LA community in the future. I am thankful to you since your contributions have made this program possible. I am thankful to our team members who work tirelessly to put on programming that will be relevant to our community. I am thankful for the time mentors have made to support our students. I am thankful for all the speakers who volunteered their time and made the trip all the way to UCLA to share their knowledge with our students. Above all, I am thankful for the community we have built together. We all play different roles yet we support each other in equally important ways. Thank you for your support, commitment, and all the sacrifices you've made to help build a more equitable world with us! We look forward to continuing this work with a new group next year! Hi everyone! Here's our update for this week's Saturday Academy, which was organized around the theme of Immigration. We began the day with a lecture about the intersection between immigration and mass incarceration by Professor Kelly Lytle- Hernandez. She spoke about the legal framework dividing apprehensions from arrests, detention from imprisonment, and deportation from punishment. By understanding these different legal categories as identical experiences, she revealed the way Latina/o's, specifically Mexicans, have been disproportionately incarcerated. She highlighted the fact that people can't understand this dimension of the Latina/o experience without examining it in relation to African Americans and Chinese Americans (vice-versa). 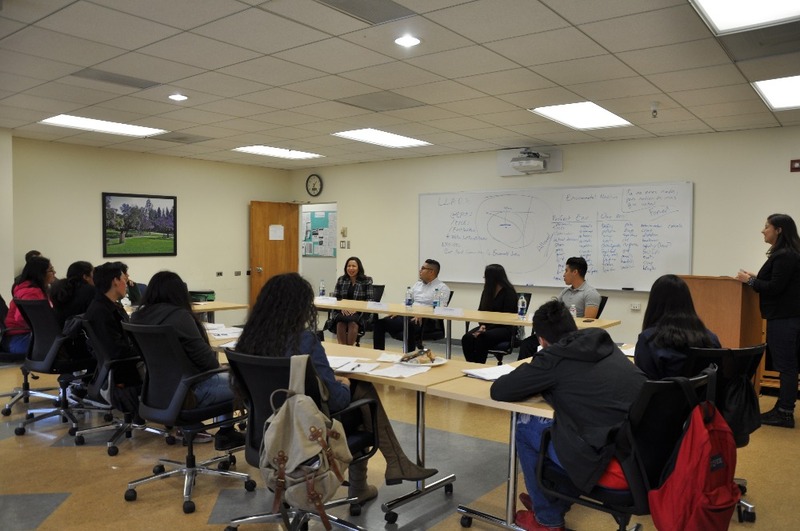 The brilliant lecture was followed by a UCLA Financial Aid Office workshop led by Maria Sanchez. She spoke to our students about how to fund their education, the differences between grants and loans (all types), and shared some tips about how to reduce costs, such as buying used books, renting them, or checking them out from the library. She also emphasized that gaining a higher education was attainable! 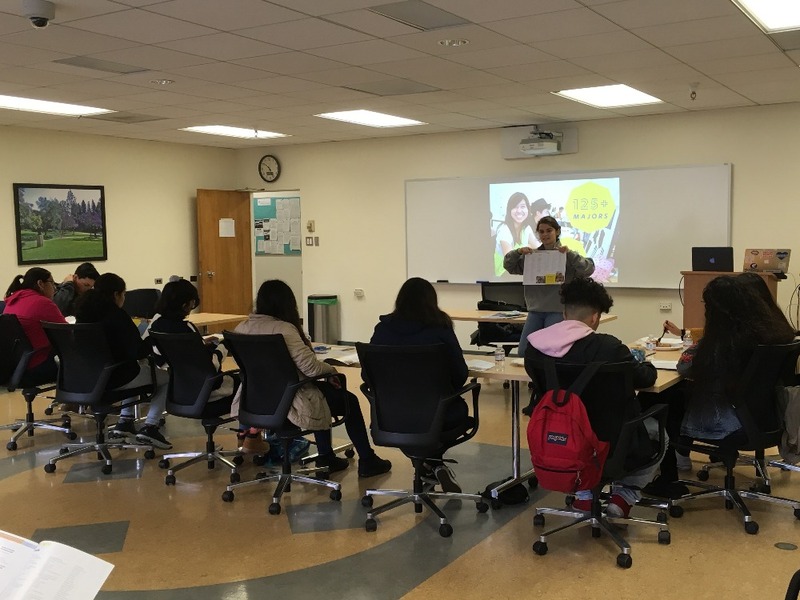 This was followed by the second part of our personal statement workshop where students got feedback on their short answer questions from their mentors and analyzed a successful UCLA personal statement essay together. This led us perfectly into lunch! After lunch, Jimmy Castañeda, who is a legal assistant at the Immigration Resource Center in Monrovia and serves as our Admissions and Recruitment Coordinator, led a know your rights workshop. 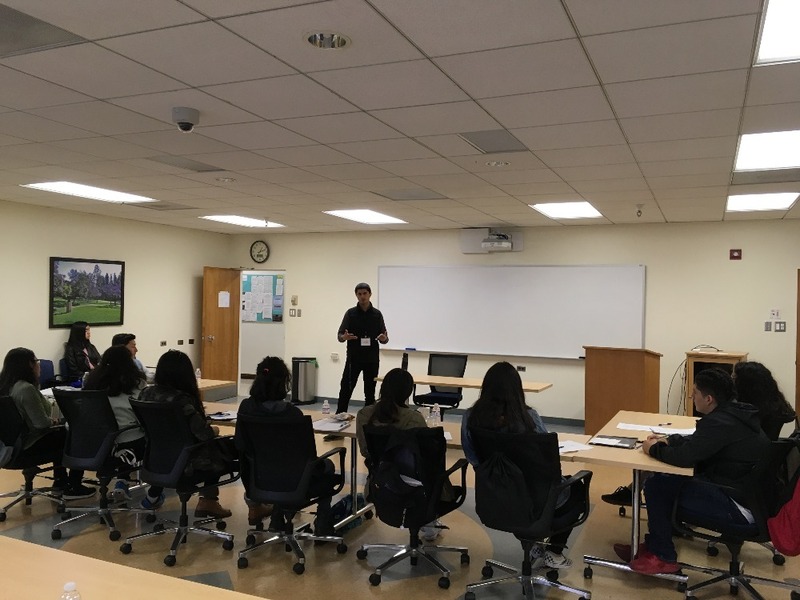 He educated students about their rights (to remain silent), how to exercise those rights during encounters with ICE agents and other law enforcement officials, and spoke a bit about the meaning of California as a sanctuary state. Finally, our day came to a close with a College Access Panel. The panel included representatives from other college access programs and student alumni. As a representative of the Posse Foundation, Darwin Rodriguez spoke about the scholarship and the services offered. 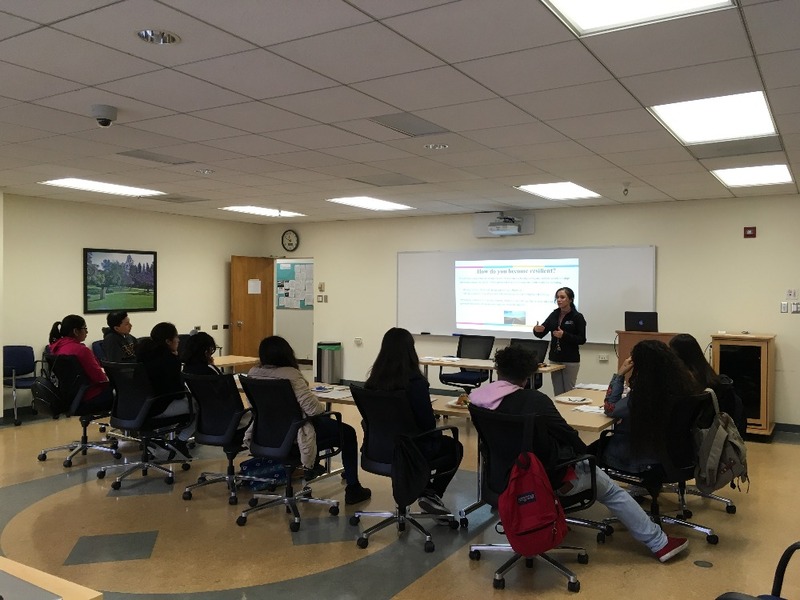 Marcela Saavedra, from Heart of Los Angeles (HOLA), spoke to our students about the range of services offered there. Similarly, Yaritza Gonzalez spoke about her experience in College Match and how they helped her attend Dartmouth College. And one of our mentors, José Alvarez, spoke about his experience as a Gates Millennium Scholar and the new structure of the Gates Scholarship. Our students ended the day with knowledge about other programs they can potentially access, which can provide them with more support and resources to achieve their goals. Once again, we thank you for supporting these great students and providing them with the knowledge to protect themselves! Thank you for building a better world one Saturday at a time! Hi everyone! Here's our update for this week's Saturday Academy, which was organized around the theme of community wellness. We began the day with an introduction to mental health workshop led by Esmeralda Melgoza, who is the outreach coordinator for the UCLA Center for Child Anxiety Resilience Education and Support (CARES). She spoke about health in general, mental health, and the way systems of oppression impact people of color. Her presentation was followed by an admissions workshop led by Hannah Goldberg, who is a student ambassador at the UCLA Admissions office. Hannah's presentation discussed the opportunities available at UCLA, student life, and how the holistic admissions review process works. Both workshops were followed by a name tag ice-breaker activity and a one-on-one personal statement workshop between mentors and mentees. Students learned about the personal statement and began to brainstorm by thinking about their personal qualities, their identities, social environment, goals and aspirations, and how they are all connected. The personal statement continued to be the topic of conversation throughout the lunch period and enabled mentors and mentees to learn more intimate details about each other and their struggles. 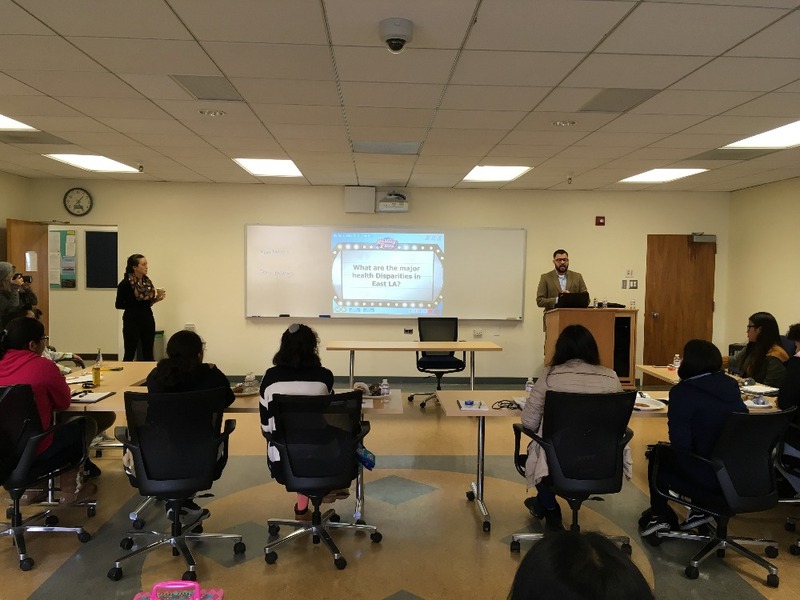 Lunch was followed by a Community Wellness interactive lecture led by Dr. Jennifer Garcia and Dr. Roberto Cancio, who both have post-doctoral positions at Loyola Marymount University. 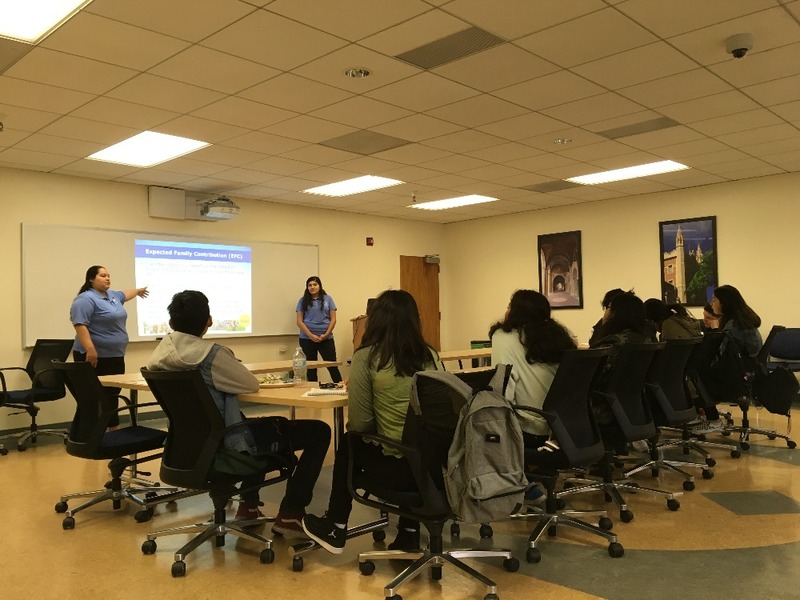 Students learned about the social determinants of health, how Latina/o residents from East LA are disproportionately impacted by certain diseases like diabetes, asthma, depression tuberculosis, and obesity in comparison to white residents. They also learned how to map the health resources available (or unavailable) in their community to imagine what a healthier East LA could be. 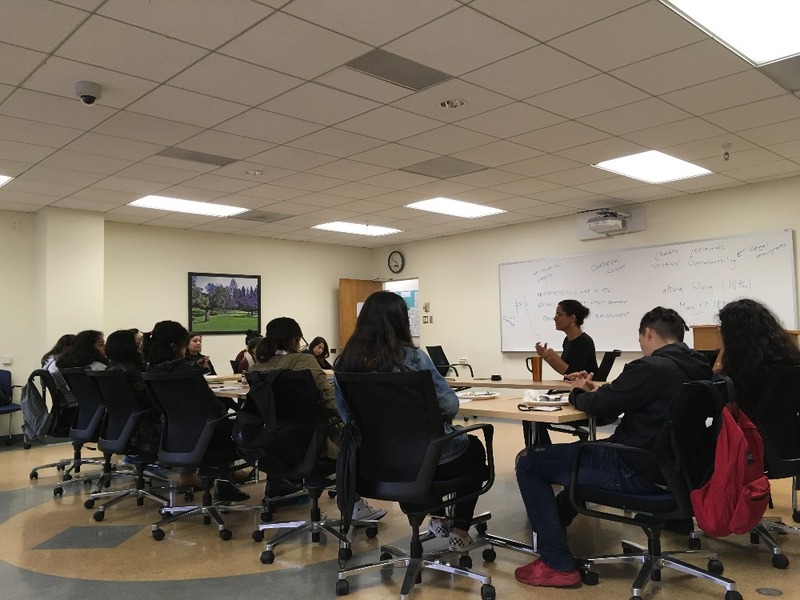 Finally, students embarked upon a mindfulness workshop led by our Co-Director, Vanessa Calderon, who is a PhD Student in Clinical Psychology at USC. They were provided with tools that can help them manage the stress in their lives and to remain focused on their goals in a chaotic world. It was another long day but your support provided us with the energy to keep up the critical thought. Thank you for supporting our youth and providing them with the tools to remember to stay healthy as they strive for a better world! 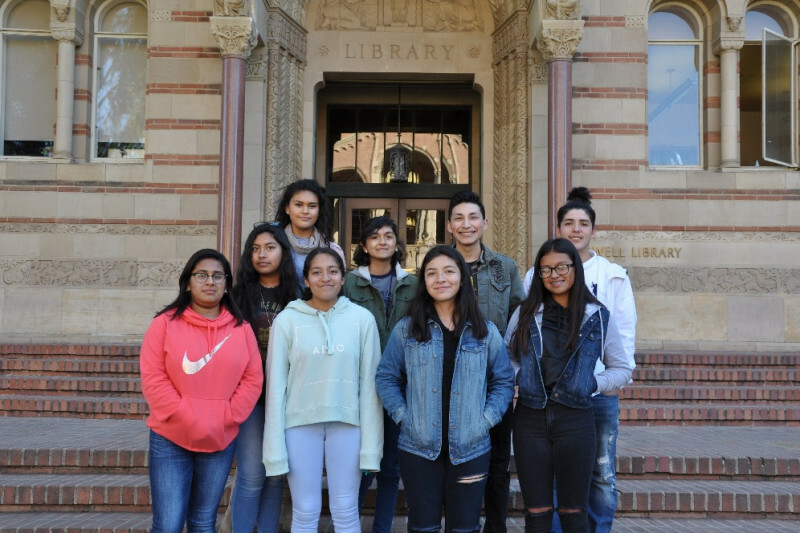 We had our first Saturday Academy yesterday on the UCLA Campus and had the pleasure of welcoming nine students from East Los Angeles! It's the largest number of students we have been able to reach for a cohort and shows that our recruiting efforts are beginning to show some promise! Additionally, our team has grown over the last year with more people from the community getting involved with our organizing efforts! 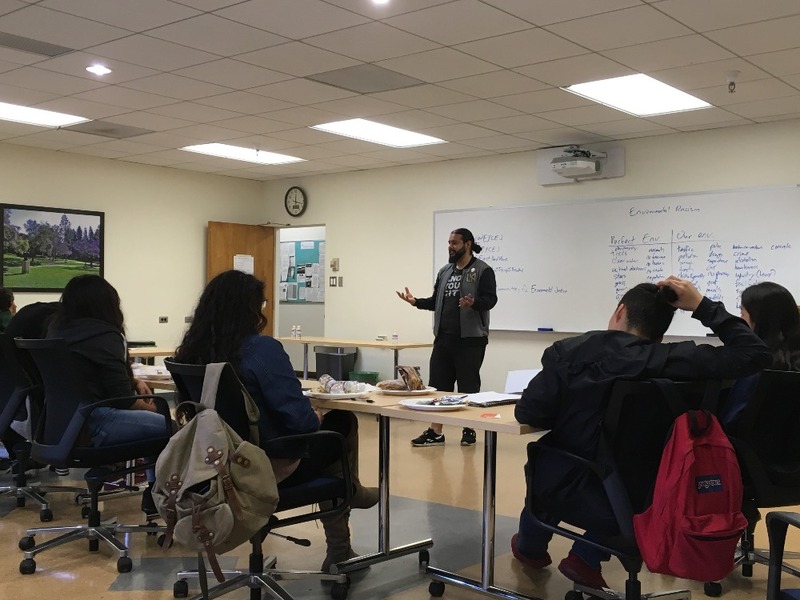 We began the program with an A-G requirements workshop led by our very own Fernando Lopez, who is a social studies high school teacher in the Northeast LA area. 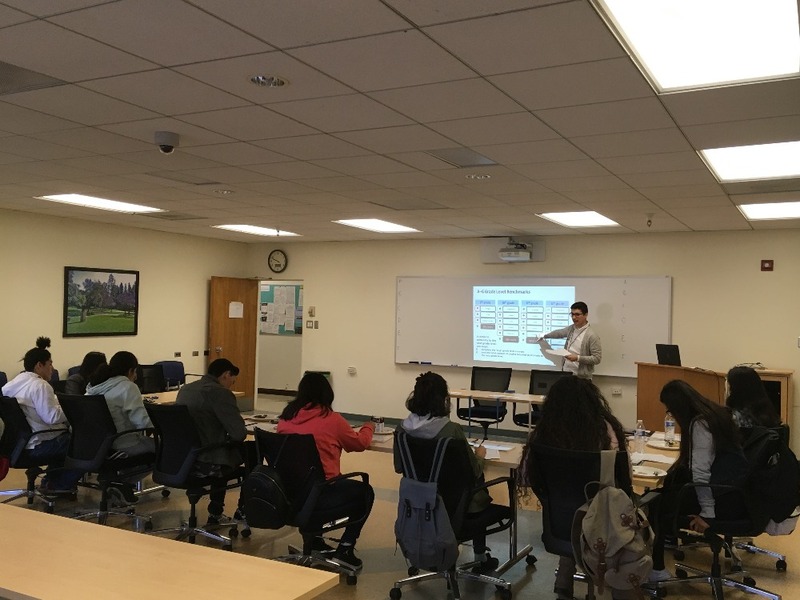 The workshop taught our students about the high school courses required to gain admission to the University of California system and to advocate for themselves. It was about self-empowerment and taking control of their own education. This was followed by an ice-breaker activity called Community Web. It was led by our Programming Coordinator, Carolina Ugalde. It encouraged students and mentors to speak about obstacles they have overcome while creating a complex web of yarn that intertwined our lives and struggles. 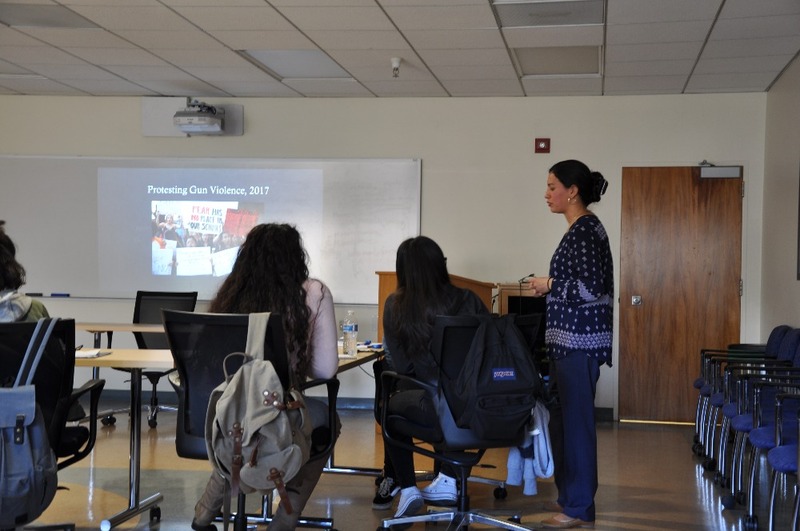 After the ice-breaker, Lorena Guillén, an Assistant Professor in the UCLA Department of Education, gave a lecture about the history and paradoxes embedded in the United States educational system. She spoke about the colonial roots of education, the negotiations that students of color have to make in spaces of higher education, and the power students have to create change in the educational system and society. The lecture was followed by lunch where students connected with their mentors and learned a little bit more about each other. 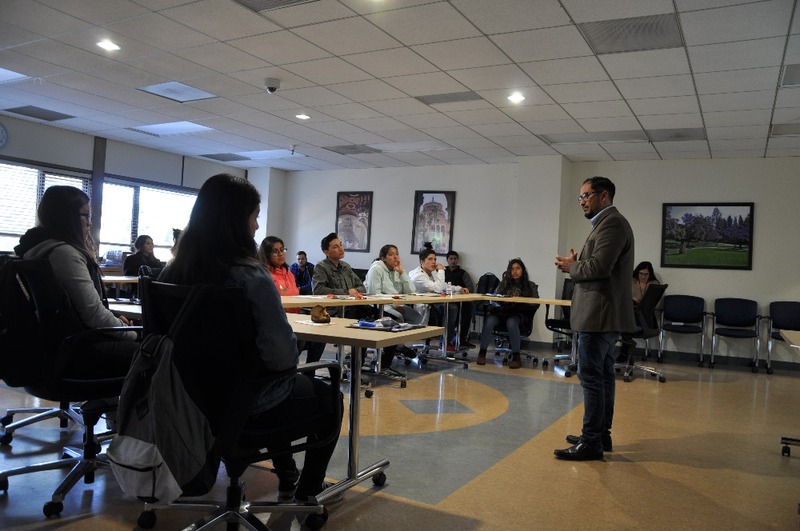 After lunch, Mario A. Escobar, a Professor in Spanish Literature at LA Mission College, shared his personal story as a child soldier from El Salvador during the Civil War. He also reiterated the value of an education as a transformative process. The struggle for an education kept him going as he attended college while undocumented, protested for immigrant rights, fought deportation proceedings, and, finally, through his successful asylum case. It was a moving experience and helped our students think more about their own stories and experiences. Finally, we ended the day with an outdoor activity titled College PATHS Walk led by our Programming Contributor, Sergio Valenzuela. This activity highlighted the various types of experiences and struggles facing people living in East LA. Although we come from and live in the same area, our experiences can be vastly different based on our gender, economic situation, family circumstances, etc. It was important to highlight the multiple stories that can be told about East LA and the people who grew up and live there. It was a long day but also a very rewarding one! We are very fortunate that your support enabled us to provide the food to keep their energy up through an emotionally taxing day full of critical thought. Thank you for your support and investment in our youth!